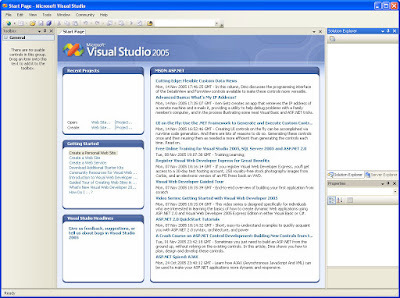 I attended a Microsoft Road Show on December 1, 2005 to learn about the new Visual Studio and MS SQL 2005. I also got myself a free copy of the standard edition for both of these products. The Road Show was in Abingdon, Maryland, and it was the very first Microsoft Road Show that I had ever attended. Really cool presentations! I am really looking forward to go to more of these events in the future.